Wee Jock, who now has his own blog. He’s all packed to head to India tomorrow. Great busy, surprised you had time with all the gloating! 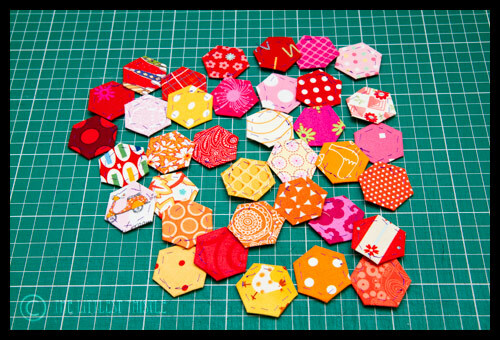 Love your bright hexies and that kitty block is so cute! Like Annabelle I've fallen in love with wee Jock! I cannot see the hexies laughing – thought you could at least make a big happy mouth with them Katy! Come on! pretty hexies! so bright and fun! I love Jock, his blog is great!! Have fun with those hexagons! 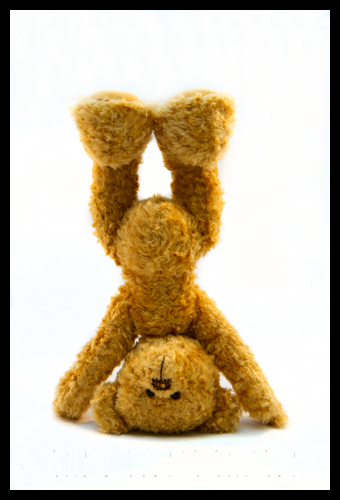 Zaki is rather taken by Jock and the icon for LittlestThistle on FB…Jock looks great fun and a Glaswegian I`m betting. You know I love your ST blocks and the name badge? Well I can see it for myself in June so no worries there then. 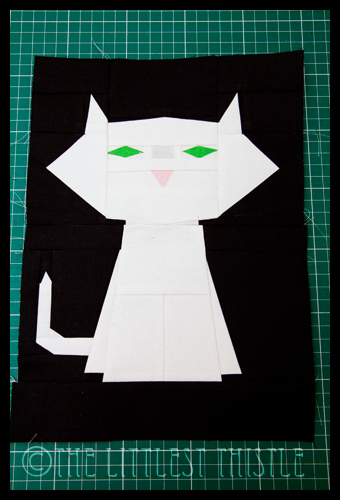 Love your stitch tease block! And the colours of your hexies too. 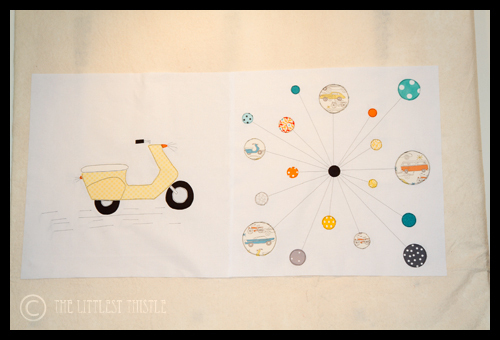 ooo, so curious on the automobile print… what are you going to work with this?? ?